Susan Bairley has been writing about golf since 1989 and has been an associate member of the Golf Writers Association of America since the early 1990s. Most of her work has been as a writer and contributing editor with Great Lakes Sports Publications for the Michigan Golfer magazine, web and web TV, where she also served as editor of two Michigan Woman Golfer editions and started a Women’s Golf Network website. Susan was chair of the Michigan Women’s Golf Summit – the first statewide women’s golf summit in the U.S. – in 1993, and subsequently served as co-chair of two statewide Michigan Women’s Golf Summits in 1995 and 1997. Each summit brought together more than 100 national and state golf leaders to focus on all aspects of women’s golf, including accessibility, skills and course management, course ownership, golf careers, and mentoring women and girls to promote the growth of women’s golf. In 1997, she also chaired the fifth Michigan Industry Summit for golf professionals in all areas of the sport and business. In conjunction with the summits, Susan’s planning committee initiated a Michigan Spirit of Golf Award, which was awarded to two legendary Michigan golf leaders: WJR Radio host J.P. McCarthy (posthumously) in 1995 and to longtime USGA Rules Official and former USGA Women’s Committee Member Betty Richart in 1997. For several years, Susan ran her own golf and real estate writing and PR business, called Greenside Communications. Among her clients was the Michigan PGA, for which she wrote and produced its monthly Fairway News for members and sponsors, reporting on all Michigan PGA tournaments and events, industry issues and PGA news. She also served as a PR consultant to the executive director and produced the Michigan PGA’s annual Media Day press materials. 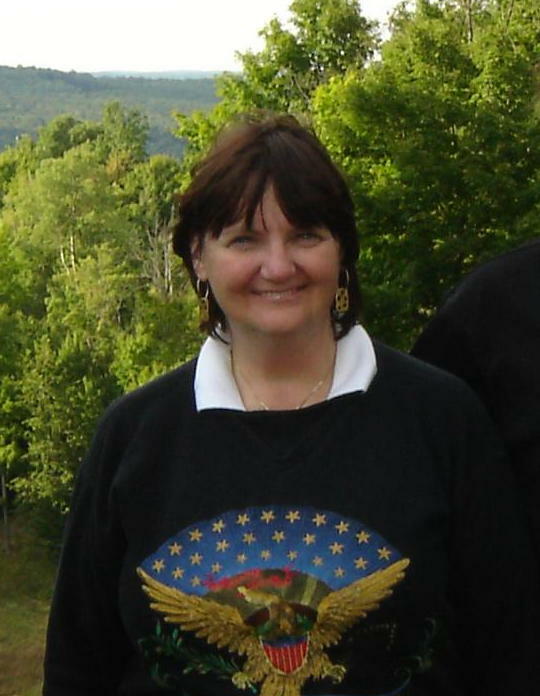 Susan also did golf writing for Booth Newspapers, Camden Publishing’s Michigan Golf Directory and has had golf articles published in various publications, including Heritage Magazine. In addition, she recently agreed to do some golf writing for Heritage Newspapers, a group of five community newspapers. In the early 1990s, she and her husband started a women’s golf endowment at Eastern Michigan University in honor of LPGA Co-Founder Shirley Spork, who has become a personal friend. In Michigan, Susan reported from various professional tournaments, including the U.S. Open, U.S. Women’s Open, U.S. Senior Open, PGA Championship, Senior Players Championship and in 2006, was part of the media corps at the Ryder Cup in Ireland. For several years, she participated in the Ford Ladies Golf League and was a member of the Ann Arbor Women’s Golf Association, serving on its executive board, including one term as president. Her golf writing focus areas include: all aspects of women’s amateur and professional golf, including instruction, equipment, fashion and leadership; golf travel, specializing in women-, family- and senior-friendly golf destinations; golf education and history; golf business; and golf leadership profiles. She has a bachelor’s degree in journalism from the University of Michigan and a master’s degree in public administration from Eastern Michigan University. During her golf career, Susan has simultaneously worked in communications and public relations for higher education, financial services, information technology and the automotive industry. She continues to serve as a senior consultant/communications manager for the U.S. Council for Automotive Research and is a corporate and executive communications consultant to various companies and businesses.